A simple 18” strand of graduated 10-20mm smooth Opalite rondelles spaced with tiny silver-lined black seed beads and closed with a simple sterling silver “S” hook. Two 14mm black 3-D Scotties stand proudly within the strand. 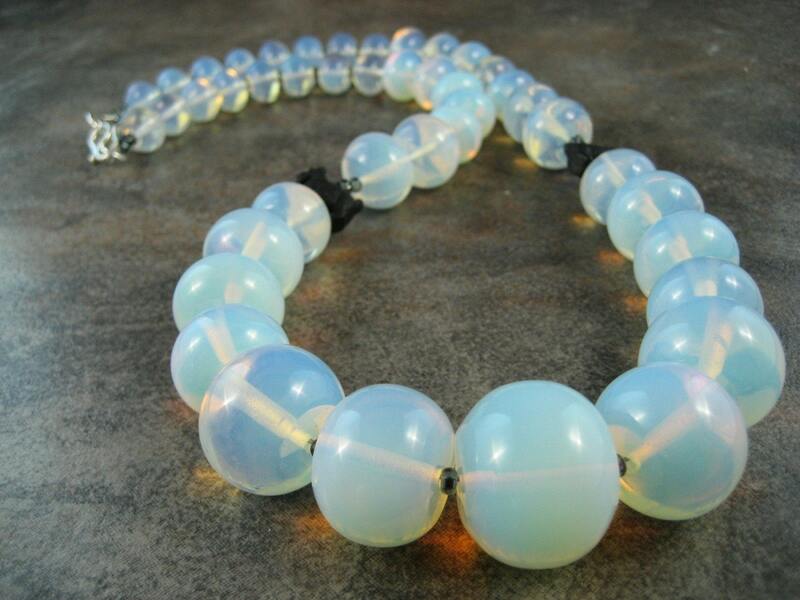 Simple, classical and elegant, the luminous Opalite Sea Opals shift colors to reflect a rainbow of pastel colors.